The National Alliance for Direct Support Professionals (NADSP) has launched The NADSP E-Badge Academy, which offers Direct Support Professionals (DSPs) the ability to earn electronic badges as a way to demonstrate their knowledge, skills, and values on the job. These electronic badges recognize and celebrate the professional development that might otherwise go unacknowledged. With E-Badges through the online platform Web Courseworks, professionals can submit specific examples, experience, and education that highlights their achievements and contributions to human services. Human service organizations can establish administrative accounts, while users can upload testimonials of their accomplishments for review by NADSP, and then share the resulting E-Badges with others. 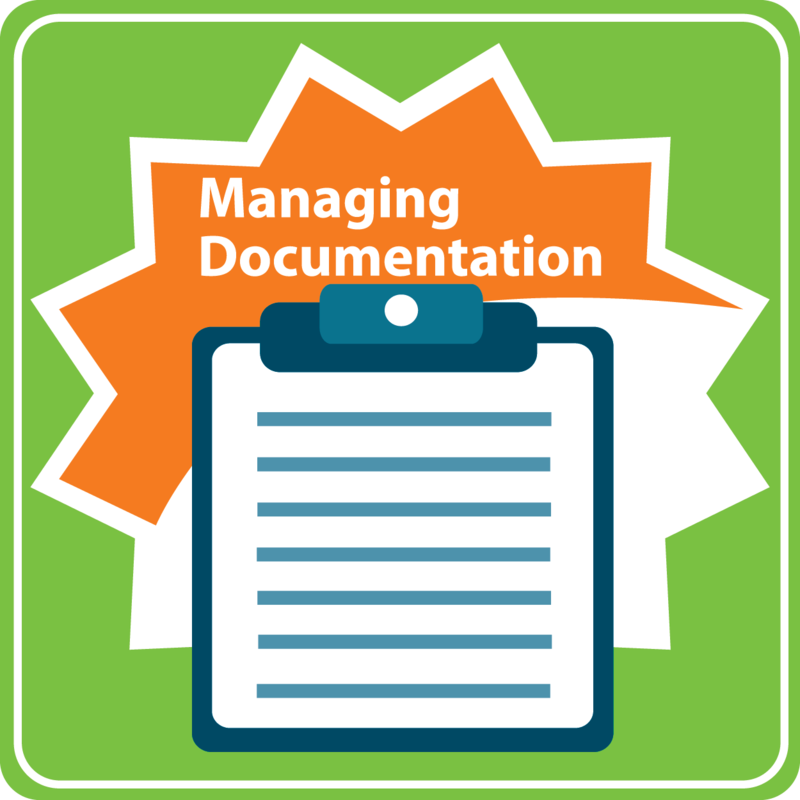 For DSPs, this is the opportunity to visually represent your accomplishments. You can demonstrate that you have an up-to-date and relevant skill set, highlight your professional achievements, and document the value that you bring to your employer and the people you support. NADSP E-Badges can also be grouped together to achieve NADSP’s DSP-I, DSP-II and DSP-III certifications for Direct Support Professionals. For agencies, this is the way to support their professional development, and to show the impact that they are having on the people they support, not only in principle, but also in practice. Agencies also benefit because they can prominently display the competencies of their staff and the impact they are having. What types of E-Badges can DSPs earn? Following the acquisition of the Code of Ethics Commitment E-Badge, the NADSP E-Badge Academy is currently divided into two main categories of E-Badges. These two categories are focused on the CMS Core Competency Areas and hours of NADSP Accredited Education. In both types, there needs to be specific evidence and examples of how the DSP met the requirements for the badge. When the DSP demonstrates that their professional skill and value meet the specified set of criteria, they can earn an electronic badge to display that accomplishment. There are dozens of different E-Badges that can be earned through the Web Courseworks Catalog. NADSP has produced a series of videos about The NADSP E-Badge Academy, which are collected in the playlist below. You can view the complete video series, or click on the ‘menu icon’ in the upper left corner of the video to select a topic of specific interest to you. Your organization should complete the E-Badge Academy General Interest Form found in the link below to learn more about purchasing an E-Badge Academy subscription. Once you have submitted the E Badge Academy General Interest Form someone from NADSP will contact you to answer any questions and to provide you more information. Upon agreement by your organization, NADSP will send you a contract to purchase the E-Badge Academy for the number of identified users. An invoice for the purchase price will be sent once the signed contract is received. With receipt of payment, NADSP will arrange for training of local administrators to enroll users as well as training to help users get started in the process of applying for badges. After users are enrolled in Web Courseworks, they may start to apply for badges, starting with the Code of Ethics Commitment Badge; share their accomplishments with others to demonstrate the impact they are having on people supported; and seek out more E-Badges to build upon their online folio and continuing their professional development. As each user accumulates E-Badges, they can use them to apply for certifications from NADSP at the DSP-I, DSP-II, and DSP-III levels. 1. How do I set up an E-Badge Academy account? When purchasing access to the NADSP E-Badge Academy, your organization will designate a local administrator who will have the ability to enroll staff in the NADSP E-Badge Academy. 2. What is the first badge that I need earn? The first badge you will need earn is the Code of Ethics Commitment Badge. This badge is earned by committing to professional practice that is in line with the NADSP Code of Ethics. The Code of Ethics Commitment Badge is a prerequisite for all other badges in the NADSP E-Badge Academy. 3. How do I demonstrate participation in NADSP webinars? You will need to complete the Accredited Education Documentation Form in its entirety and submit with other records of NADSP-Accredited training when applying for an Accredited Education Badge. 4. How long does it take to apply for a badge? While the work you do to meet the requirements for a badge may take many hours, the process of applying for each badge should only take about 15 minutes. 5. How is confidentiality protected in the E-Badge Academy? The NADSP Code of Ethics requires each DSP to safeguard and respect the confidentiality and privacy of the people they support. For this reason, no testimonial including individually-identifiable information will be approved for an E-Badge. 6. 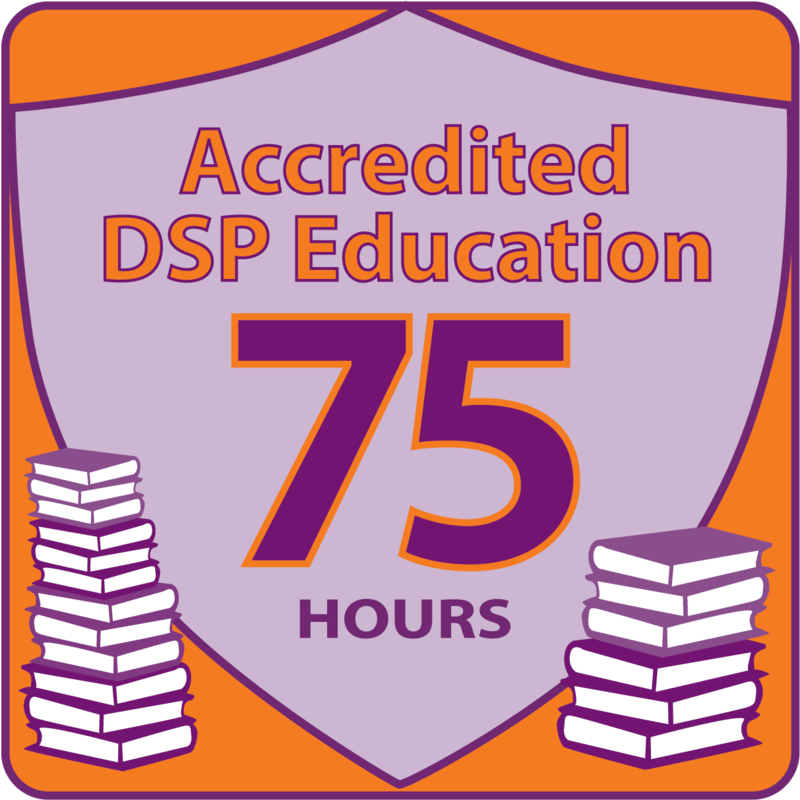 What are the requirements for DSP-I Certification through the NADSP E-Badge Academy? 7. What are the requirements for DSP-II Certification through the NADSP E-Badge Academy? 8. What are the requirements for DSP-III Certification through the NADSP E-Badge Academy? 9. How will the NADSP Code of Ethics be incorporated into the E-Badge Academy? The E-Badge Academy is really designed to get DSPs in the habit of frequently referring to and reflecting on the Code of Ethics. We do this by asking DSPs to make a connection between their work and the Code in most of the Core Competency badges. The Code of Ethics is woven into the whole EBA program in a much more deliberate way than it was in the traditional certification program. 10. Can providers continue to use a cohort model, as with the traditional portfolio-based certification program? Absolutely. Some of the best practices for implementation of the E-Badge Academy will be similar to the traditional portfolio-based program, but we expect that agencies will develop new approaches as well. NADSP will share success stories from around the country in a variety of ways. 11. Who reviews the badge submissions? How are reviewers trained and evaluated? Our initial reviewers are I/DD professionals who are well-versed in the NADSP Code of Ethics and Competency Areas. All reviewers complete a two hour training session, and there will be both oversight and support for these reviewers. We are creating an inter-rater reliability standard for the reviewers and they will be tested at least twice a year.